We’ve upskilled over 140 Team Leaders across various organisations all over New Zealand and find Team Leader’s current coaching capability levels often fall into these groups. 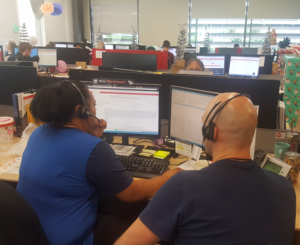 We’ve found a 4-phased contact centre coaching programme works best to maximise results and embed a long-term change in practices. We build skills, we build confidence, we strengthen a community of leaders, we enable improved results – here’s some examples of peoples’ feedback. “THANK YOU. I really mean it. I had hit a roadblock with this particular agent around his performance and didn’t know what to do next. Having the chance to calibrate on his calls in calibration really prepared me to coach him afterwards”. What makes the Connections’ approach different? Introducing thought provoking content every week and encouraging leaders to agree to make small changes each week, that over a number of weeks create significant change. Supporting and coaching leaders “on the job” to embed the changes they have committed to. Creating the environment where contact centre leaders support and learn from each other to become a strong community of leaders. Coach their team to encourage leaders to coach, showing them how well great coaching is received by team members. Build their confidence and introduce new approaches so they are renowned for being a trusted and respected coach. Facilitate weekly calibration sessions to align team leaders on what “great” is like and align on improvements that will make interactions more effective. Build trust to help team leaders work on and practice the hard conversations they may have been putting off. Provide a fresh set of eyes to see strengths and improvement opportunities. Embed Lean thinking and process management into their approach. Support team leaders to launch the renewed coaching programme to their team, assisting to embed that this approach works best when reps take responsibility for their own improvement. Coach reps directly, increasing the number of coaching conversations in a short period of time to build momentum and deliver improved results. Facilitate agent calibration sessions to align on what makes a great interaction, and get ideas from each other on how to improve.